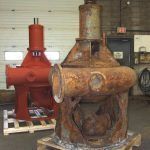 Aftermarket Parts Solutions Specialists (APSS) ABBA manufactures replacement pumps, parts & assemblies for municipal water & wastewater treatment plants and pumping stations. ABBA Parts is strictly focused on the municipal aftermarket. How does that benefit you? 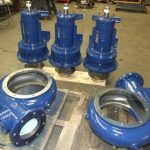 ABBA manufactures replacement pumps, parts & assemblies used in municipal water & wastewater treatment plants and pumping stations. 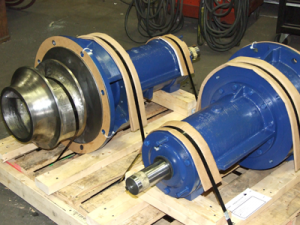 Our high quality centrifugal pump parts are utilized for repairing and maintaining a variety wastewater treatment pumps (or sewage treatment pumps) including: influent and effluent pumps, primary and secondary sludge pumps, RAS pumps, pumping stations and lift stations across North America. ABBA’s commitment to quality is not only evident in the materials, workmanship, performance and fit of the parts we manufacture but also in our “can-do” attitude towards customer service and delivery lead times. Municipalities count on ABBA to provide solutions that will extend the life of their solids handling pumps and splitcase water pumps. 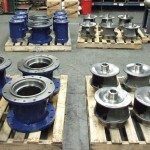 ABBA also makes many replacement submersible pump parts. 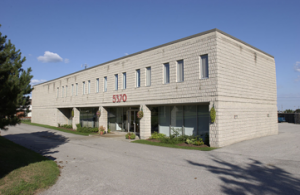 The next time you need effluent pump parts or parts for ANY sewage or water pump, call ABBA. 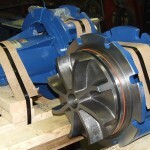 Call for a quote today – start saving time and money with genuine ABBA Replacement Pumps, Parts & Service! Our replacements will COST YOU LESS! Our product ships quicker – which means you have less down time.